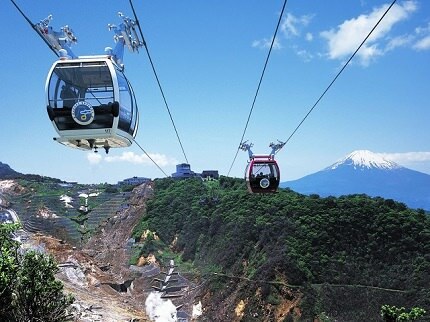 Hakone Ropeway/Owakudani Ropeway is an aerial lift located in Hakone, Kanagawa, near Lake Ashi. 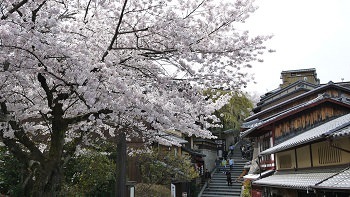 The ropeway has two sections: one from the Sounzan station to Owakudani station, the other from Owakudani station to Togendai station. 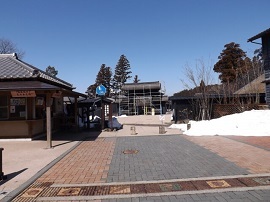 The Owakudani station will take you to a little over 1000 meters above sea level during the ride from the bottom to top station. 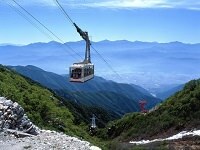 From top to bottom, the ropeway takes about 30 minutes to travel. 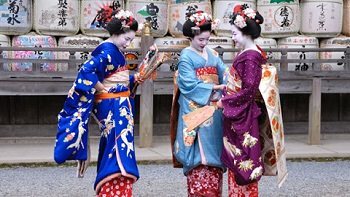 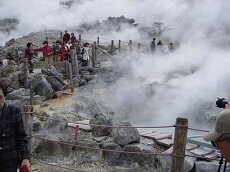 Along the way, you can enjoy the view of Owakudani Valley, the famous active, sulfuric valley which heats many of the hot springs around the area. 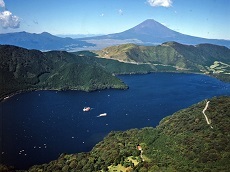 If you are lucky and visibility allows, you can also see Mount Fuji and Lake Ashi on the way down as well. 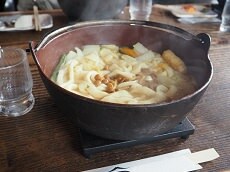 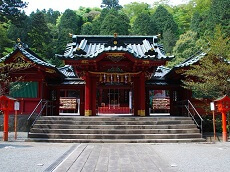 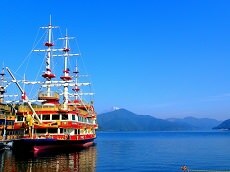 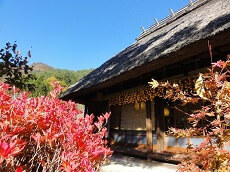 Enjoy the magnificent view of Lake Ashi and maybe even Mt. 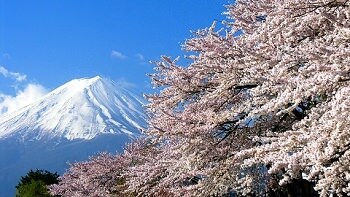 Fuji from the gondola by joining one our fully-guided Highlights of Japan tour packages or Cherry Blossom Japan Tours available year-round or during the Spring sakura season.